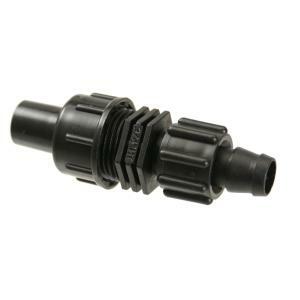 This item is a Perma-Loc Tape x 3/4" NPT Flush Valve End Cap. Close the ends of a 5/8" drip tape run with an automatic flush valve to flush your tape run at the start of each watering cycle. This low pressure valve allows water to flush out at system start-up with as little as 0.66 GPM (39.6 GPH) flow to close the valve. The valve opens at shutdown when system reaches 0.87 PSI.